Hope you had a great Monday! Mine was fantastic because I was off of work. I worked on Saturday and also had my Health Risk Assessment at Craig's work scheduled for this morning. All of my health stats looked good, but I have to wait to see what my cholesterol numbers are. I always worry a bit about that because my mom has high cholesterol and it seems to be genetic. One more reason to keep eating healthy and exercising as much as possible! After stopping for a coffee and scone, I dropped Craig off at work and was on my way to my parents' house just down the road. My parents had a guest pass for the YMCA, so my mom and I headed to the beautiful Mukwonago location. It felt great to lift weights, hop on the rowing and elliptical machines and just be around other people trying to get fit! We also went in the pool to walk and I hit up the whirlpool since my legs are still pretty sore from walking so much at work last week. I'd love to join the YMCA near our house again, but I think I am going to wait until October. I love exercising outside in the summer. Bring on the tennis matches, biking and running and walking outdoors! Mom and I were starving by the time we got home! 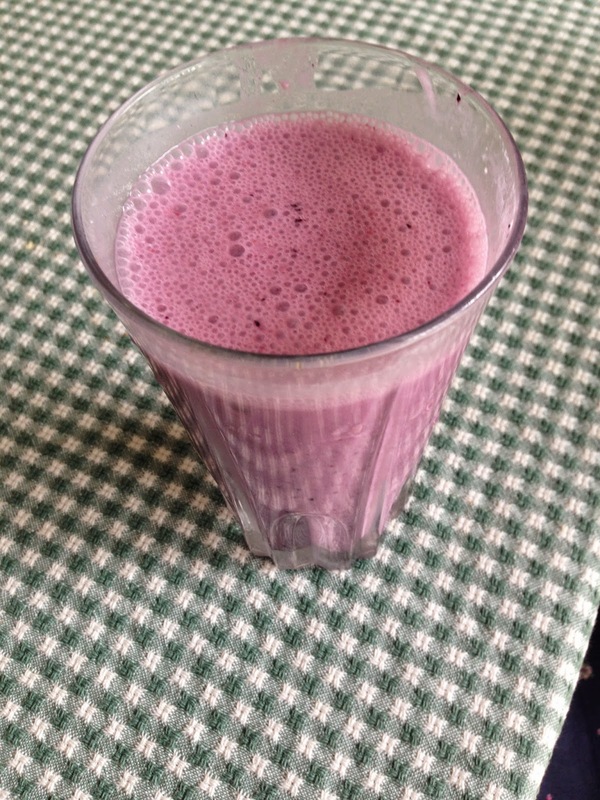 I quickly ate a banana with some peanut butter and then concocted a darn good smoothie. 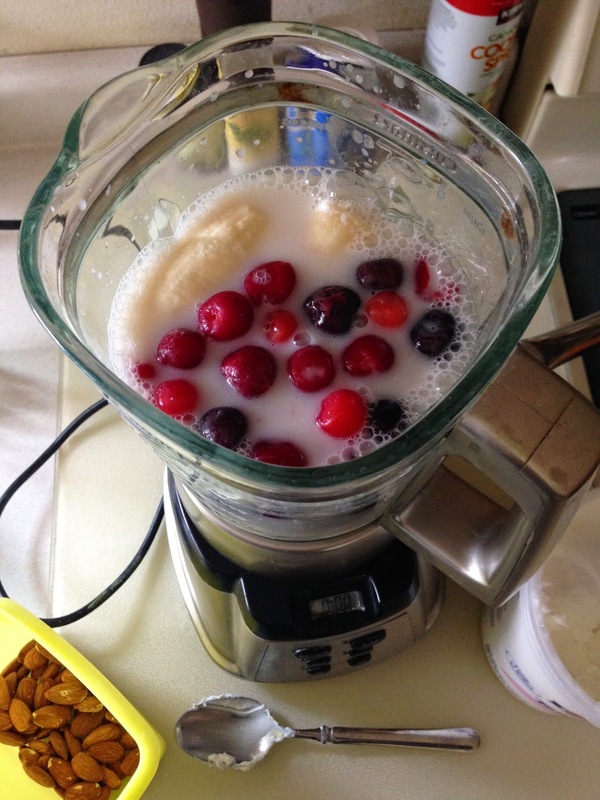 It included frozen cherries, vanilla almond milk, a banana, water, whole almonds, greek yogurt and blueberries. I topped mine with chia seeds. Mom loved it! My dad and I are notorious nappers, so I took a 15 minute one. I woke up and started scanning some cool old photos of my ancestors into my parents' computer. The day went by so quickly because before I knew it, I had to leave to get Craig at work. I am glad we'll be at my parents' for Easter so we get to spend more time with them then. What a great relaxing day! I needed it because my biggest program at work was last Friday and Saturday. Cortisol was surging through my veins the last month or so. I was exhausted and stressed from planning it and am so ready to move on to a more normal pace at work. Too bad I have tons of meetings this week! I thought it'd be fun to do a throwback Thursday post and maybe I'll continue this tradition in the future. With digital pictures, I feel like I never really look at them as often as I should and reflect on the past. This Thursday, we're back in 2003. As the title of the post says, that was a monumental year in my life. I was supposed to get married and instead, I canceled my wedding four days before it was to take place. I worked at the Milwaukee Art Museum as a security guard and then moved to California in the fall and I started Graduate School. Enjoy! My niece Kelli and I. I can't believe she got married last year! My friends and I at a party. My friend Jamie and I in Alameda (where we both lived at the time). We met at graduate school. She was diagnosed with cancer last year and just finished chemotherapy! Oh how I miss that gorgeous SF skyline! The Hiawatha train outside the Milwaukee Art Museum. I can't believe I wore this uniform as a security guard. It was so huge on me! I think I barely weighed over 100 lbs. I seriously loved that job. It actually changed my life. JFKU graduate school classmates! I still stay in touch with many of these people and thanks to Facebook, I think I am friends with all of them online except for three or four people. Mom with Nathan on the day he was born! My sister-in-law Ginny, nephew Nathan and I. My dad and one of our cockatiels. My room the first semester of graduate school. I lived with a crazy photographer, cat and dog. I cried my eyes out in this room after my ex-boyfriend broke up with me from Hungary. I always liked of liked this photo my ex took of me. It was taken at the top of Bascom Hill in Madison. RIP Suki! My brother and sister-in-law's cat in California. I loved this cat so much and she adored me too. Probably the only cat I have ever met that I didn't like. His name was Wise Guy and he was my roommate's. 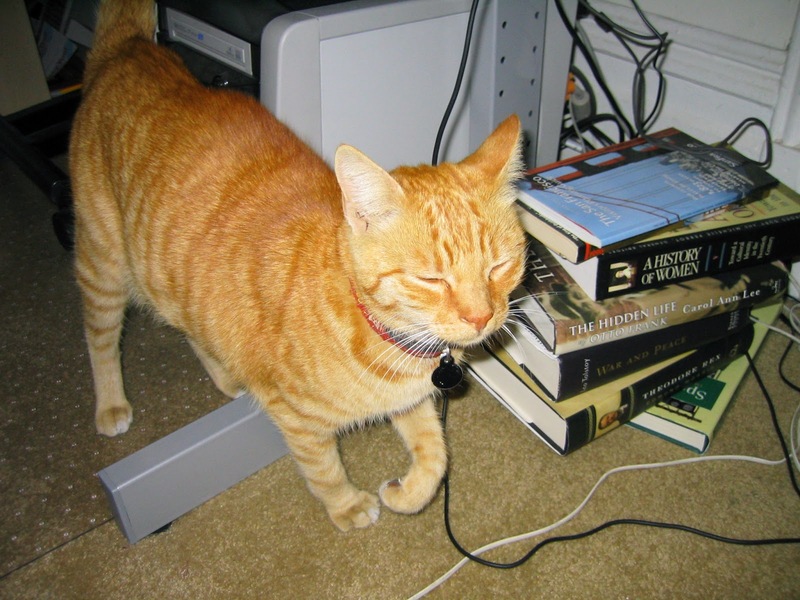 He was always so itchy and knocked things over my my desk. Granted, this was before I was a crazy cat lady. Aaah, the California coastline. 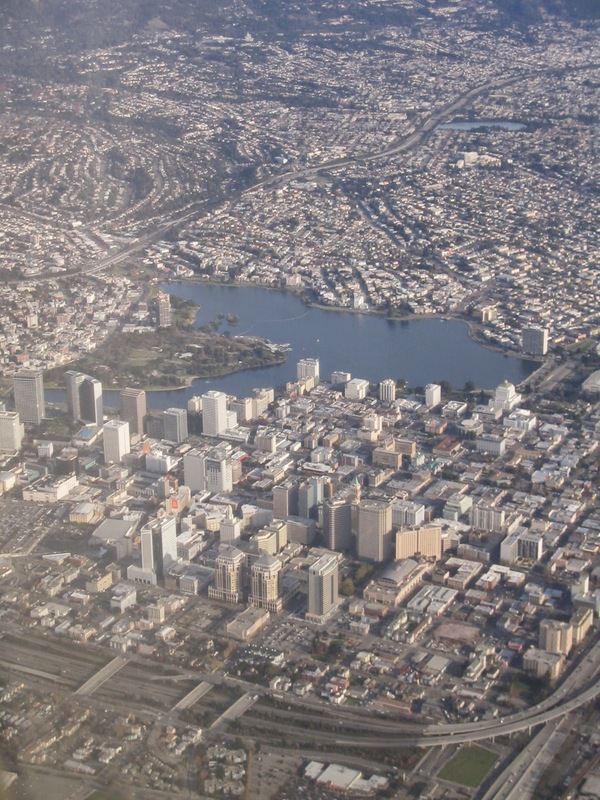 While I'd probably never move back there again, I do miss it sometimes. Oh 2003 was quite the year! Warning--I might get a little TMI in this post. Men may not enjoy reading it, but I hope it helps others. Back in June of last year, I finally went off the birth control pill. 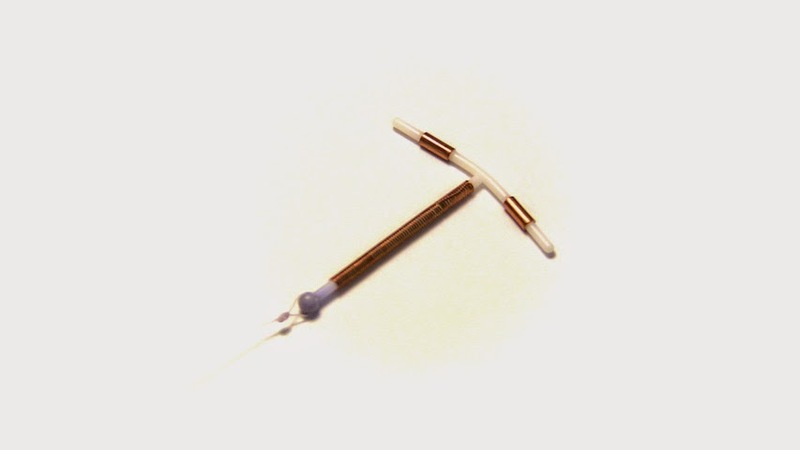 I had the Paragard copper IUD implanted and while that was very painful and horrible, I now consider that procedure worth it. I had more trouble with the procedure because I have never had kids and they had to dilate me. I think it took over 20 minutes for them to insert the IUD. An OBGYN had to be called in at the last minute to help because my internist was having such a hard time with it. This is the Paragard. It does not release hormones, like Mirena does. The Paragard lasts for 10 years. After reading about how birth control pills can affect women, I really didn't want to be on them anymore. I suspected I was having trouble losing weight because of the pill and I think my doctors agree that they were negatively affecting me in this way. -I gradually lost about 5 lbs. last summer. That's not a lot, but my pants were fitting loosely and my waist was getting smaller. -I went back on the pill for about two weeks because I wanted to control when I was getting my period. After about 3-4 days, I noticed I was retaining weight and craving sweets again. -I don't crave or eat as many sweets, like chocolate. -People have commented that I look thinner. I think my face especially doesn't look as puffy. -It's now been 9 months since I went off the pill and I have lost of a total of 13 lbs. without trying to. My clothes fit more loosely in certain areas and I don't feel as curvy as I have for the last 10 years or so. While getting my period more often is a pain, I consider it worth it. My cycle was becoming pretty regular, until last month. My period never came in early January. I took two pregnancy tests and they both came back negative. I had some blood work done to see what was going on with my body. My doctor did not think I was pregnant, but I had a pregnancy blood test anyway. The other things she thought may be going on were hypothyroidism or early menopause. For about five days straight, all I saw on TV was menopause commercials and it scared the crap out of me. Thankfully, all of my blood work came back completely normal. I had to take five days straight of progesterone pills to bring my period on though. Ok, I'll end the major TMI post there and hope it's helpful for somebody out there. Let me know if you have questions! Door to Door Organics recently started delivering in the Milwaukee area! I have received two Bitty Mixed boxes and I am here to share my honest review. Keep scrolling down to find a link to $10 off your first box and a chance to win one of three $50 gift certificates for their service! Maintaining my healthy eating habits is something I am striving to do this winter. It's been tough to do at times, but receiving fresh produce is helping to keep me in check! I've never subscribed to a food delivery service like this and I love the convenience of coming home to a box of fresh produce on my back door. I ordered our first Bitty Mixed Box a couple of weeks ago. I received an e-mail a couple of days before the delivery date to confirm the fruits and vegetables we would be getting. I loved that I could swap out any produce I did not want for something more appealing or would work better with a recipe I planned to make. 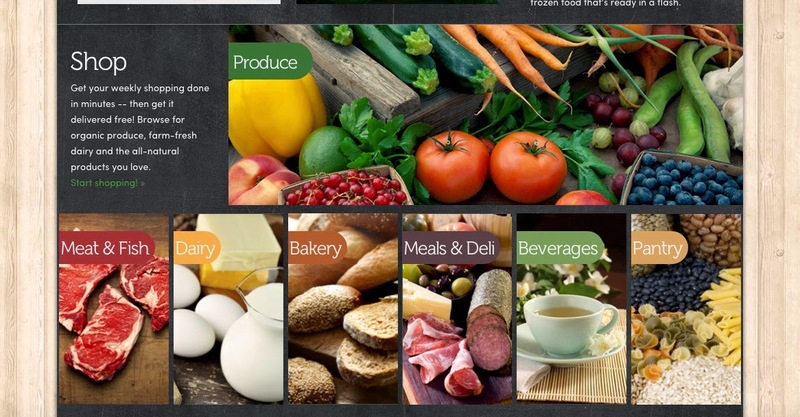 I also love that you can add other items to your box, like meat, fish, & meat alternatives, dairy, bakery, beverages, meals, deli items and pantry. There are so many fantastic items to choose from on the site! I even snapped a picture of the Door to Door van outside our house! 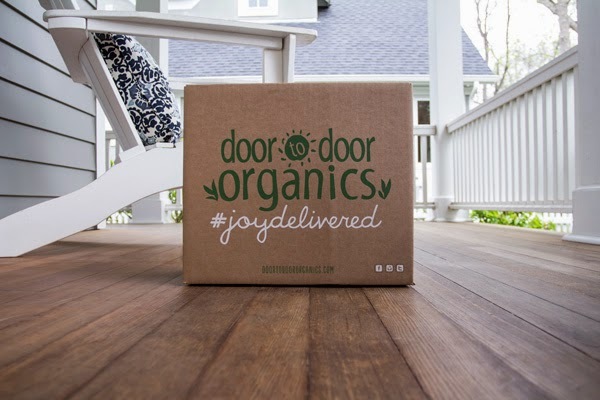 Our first box was brought to our back door and it was definitely a #joydelivered moment! We received the fruits and vegetables shown below our first order and I added Organic Spinach to the box. I found a surprise gift in the box--Stone Creek coffee in a Milwaukee blend! Check out that cute Milwaukee themed packaging--loved it! The coffee has been a delicious addition to my mornings. Our second order came earlier this week and it also featured beautiful produce that we've been enjoying. I also experimented with a few of the items to create a recipe. I'll post that on the blog in the near future. Now time for the giveaway! Want #joydelivered to you? 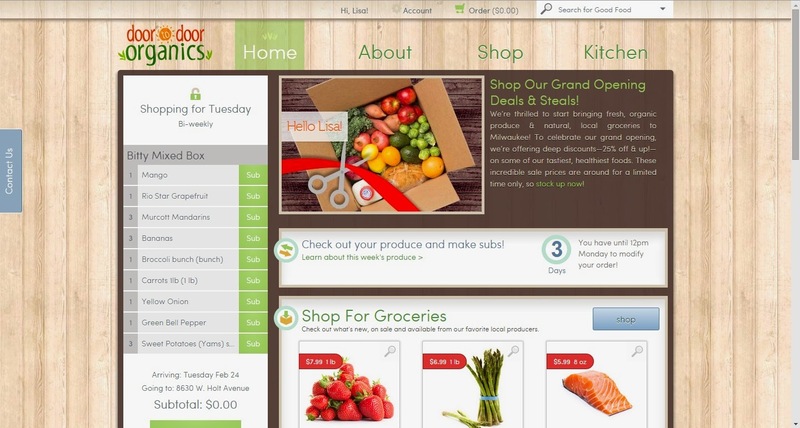 -First time customers to Door to Door Organics can get $10 off your first order! Use this special link! Or better yet, try to win one of three $50 gift certificates I am giving away through Tuesday, March 24th! Check here to make sure they deliver in your area first! Disclaimer: Door to Door Organics provided me with a generous shop credit and reader giveaway in exchange for two honest reviews and posts. 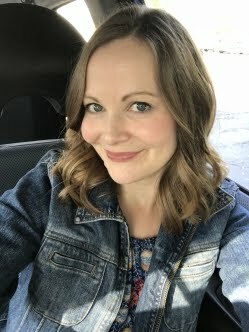 Winter is almost over, thank god, so I wanted to share favorites of a beauty product I use daily this time of year: hand creams. -Nivea Body Crème is the jar I turn to when my skin is freaking out with eczema troubles on my hands and legs. The scent is pretty strong, but you get used to it. It's the thickest of these four and as a result, I apply it before bed. -The Caudalie hand and nail cream wins best scent. It's fresh and not overpowering. The lotion is not as long lasting as others, but I still like to use it on days when my skin isn't acting up. -Aveda's hand relief in rosemary mint is a tube I picked up around the holiday season. I don't think you can find this particular scent for sale outside of that time of year. I also like the other hand relief scent, but I'm fond of Aveda product scents in general. - Dr. Hauschka Hand Cream is one that I picked up in Germany. The moisturizing level is medium and I like the scent, but I don't love it. Any favorite hand creams that you always keep in your purse or on your nightstand? Disclaimer: This post contains Amazon affiliate links which support my blog.